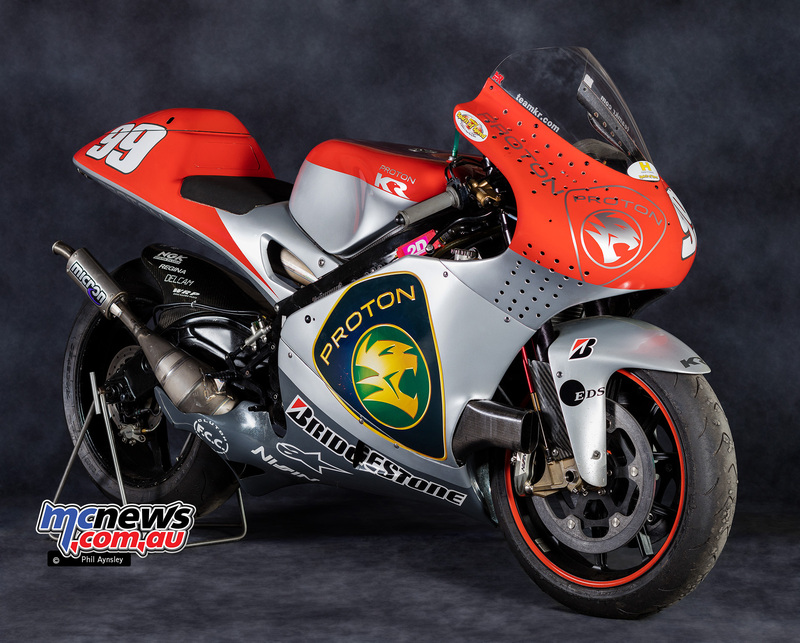 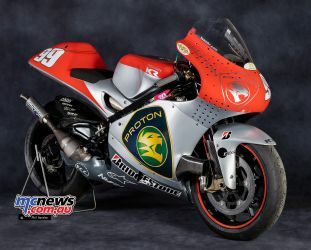 This is the bike that Jeremy McWilliams set pole on at the 2002 Australian GP – the last time a two-stroke achieved this feat. 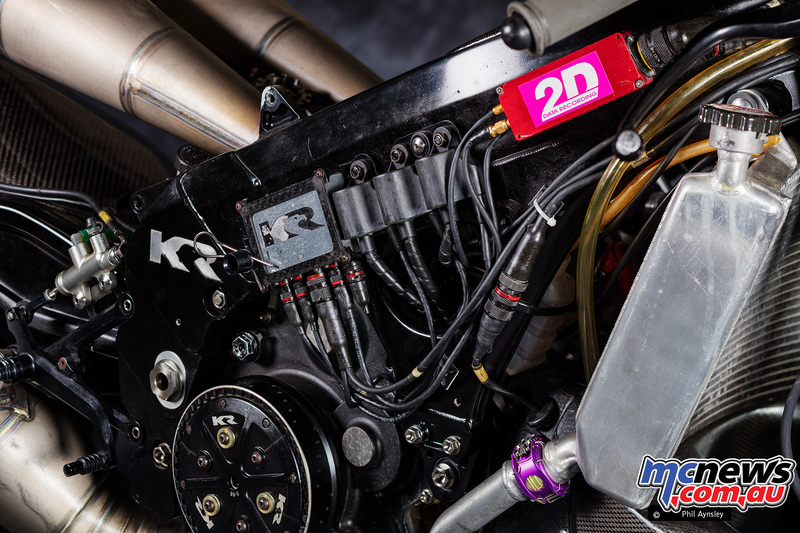 In 1997 Kenny Robert’s team switched from Yamaha YZRs to a bike of their own design. 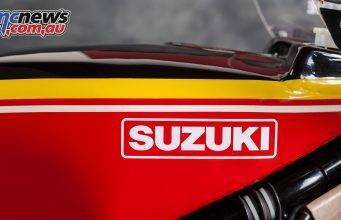 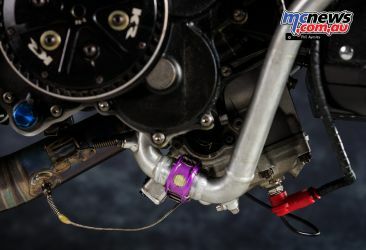 Based on the same principle behind the Aprilia RSW500 – that is taking advantage of the lower minimum weights for 2 or 3-cylinder bikes, Roberts and his main team engineers Mike Sinclair and Warren Willing, together with Tom Walkinshaw Racing, came up with a V3 design that was about the size of a 250cc class bike. It weighed just over the three-cylinder weight limit of 135kg and made around 160hp. 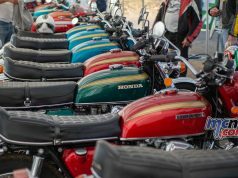 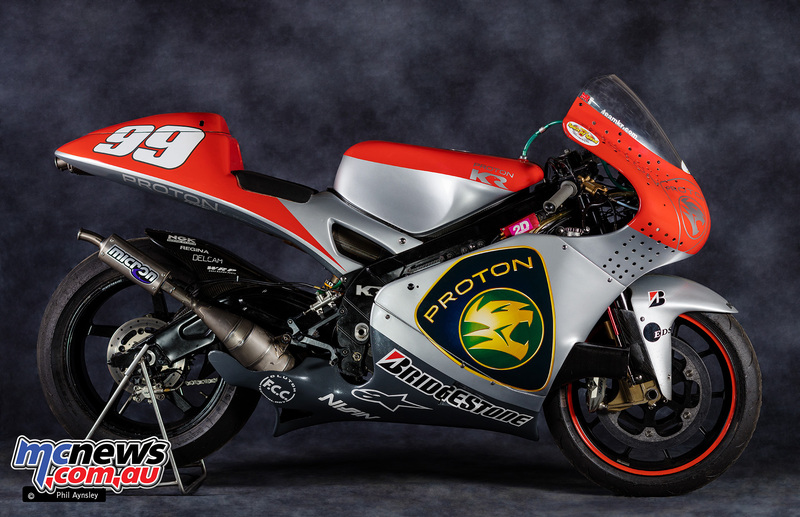 The first model (Modenas KR3) suffered from engine vibration problems so a redesign was instigated. 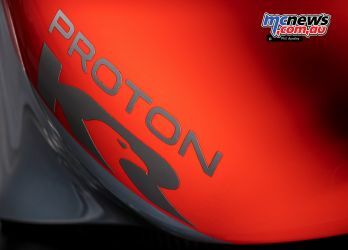 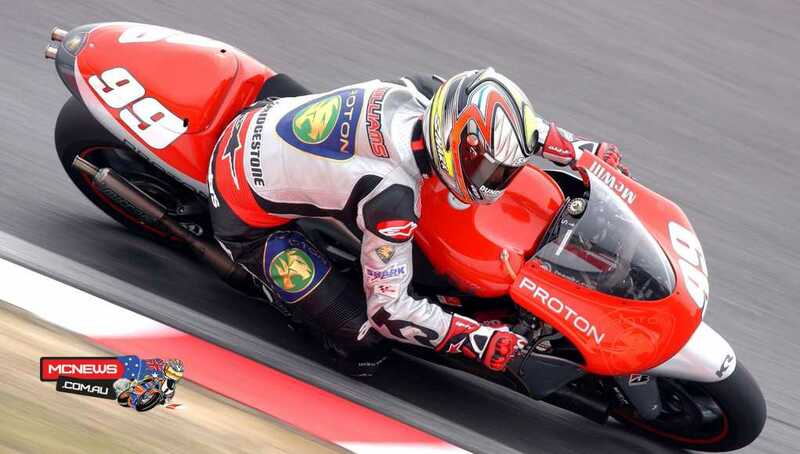 The name was then changed to Proton KR3, to mirror the new team sponsorship. The change of formula in 2001 to 990cc 4-strokes, with 500cc 2-strokes still allowed, meant that 2002 was the last year the KR3 was raced all season. 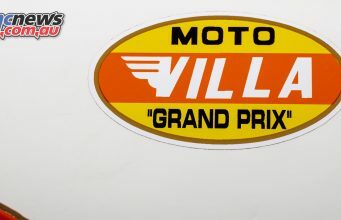 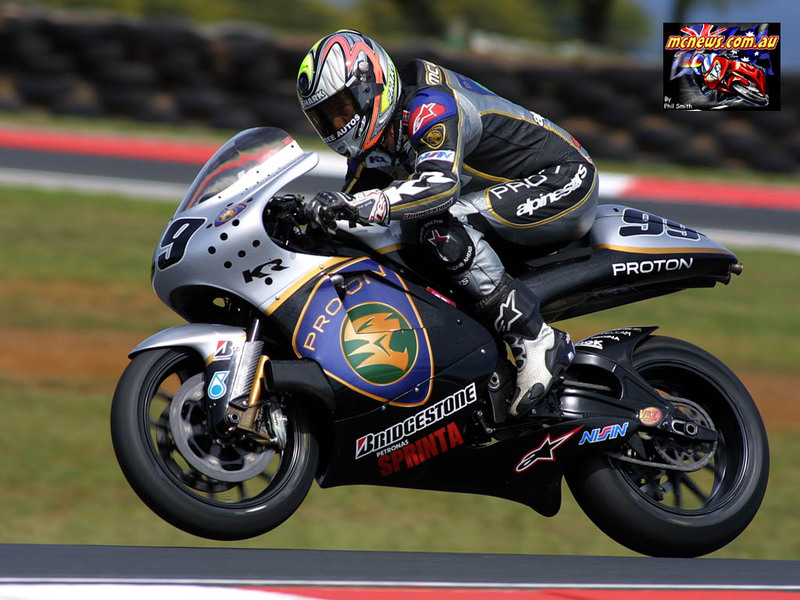 After taking pole position at Phillip Island in 2002 McWilliams ended up finishing 10th in the race. 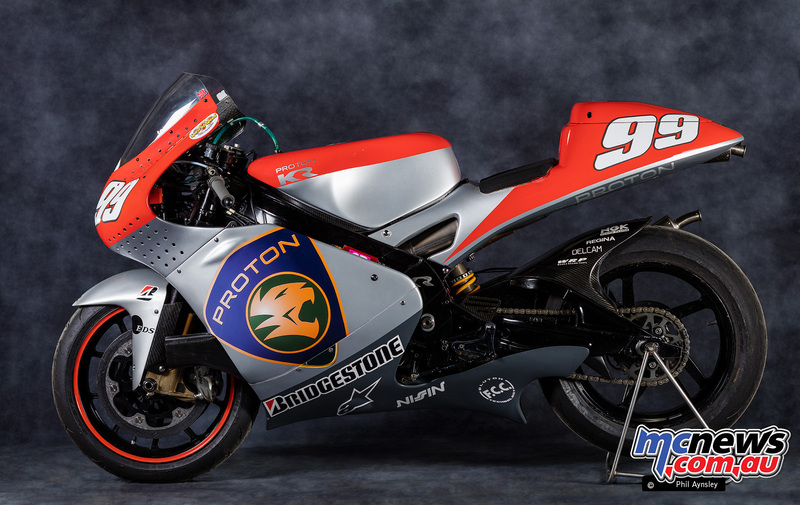 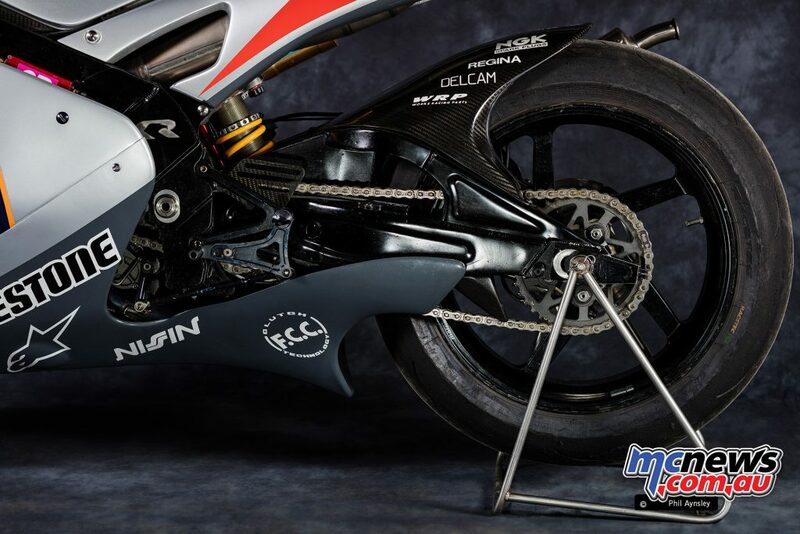 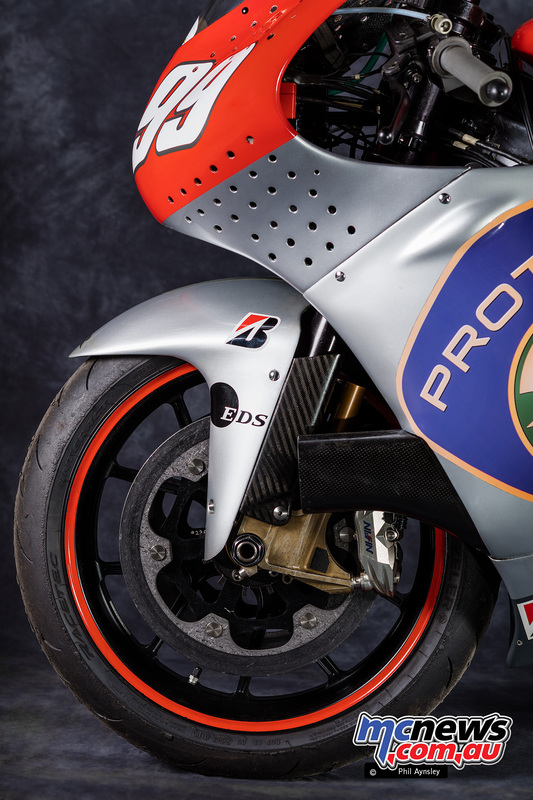 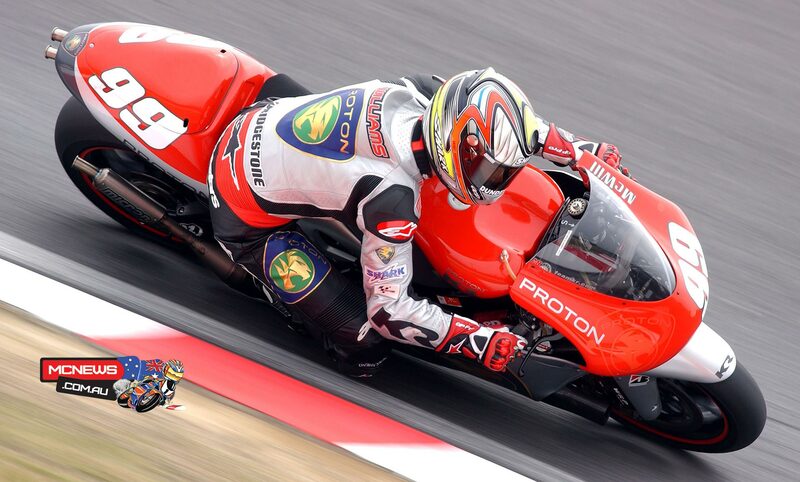 That bike was then updated to 2003 livery as a back-up machine to the new KR5. 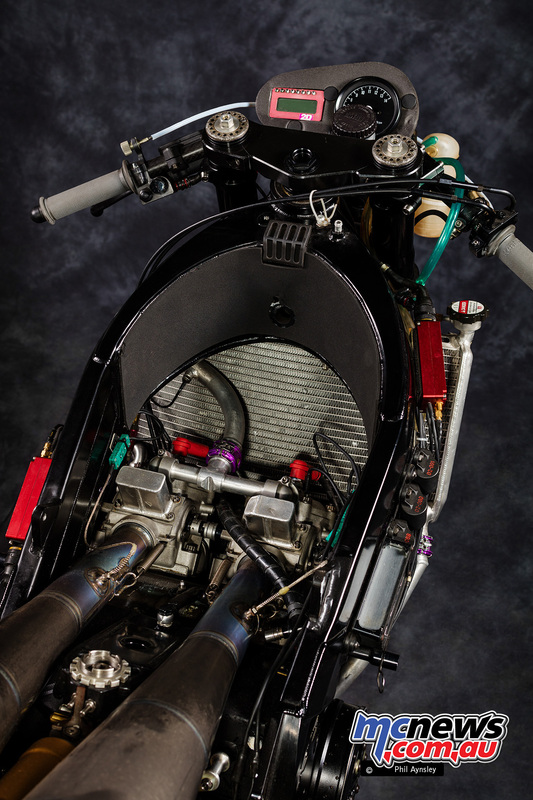 Designed by F1 genius John Barnard, the 60-degree V-Five four-stroke engine for the KR5 was made by Lotus, but proved too slow early in the season. 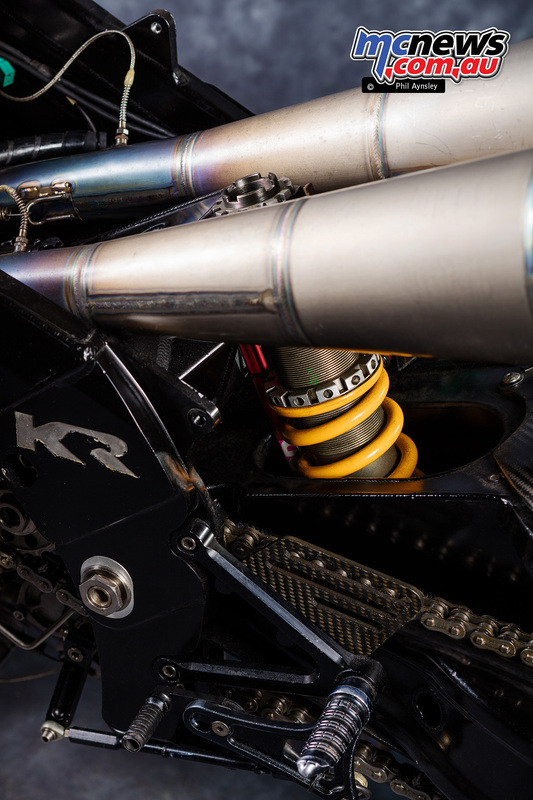 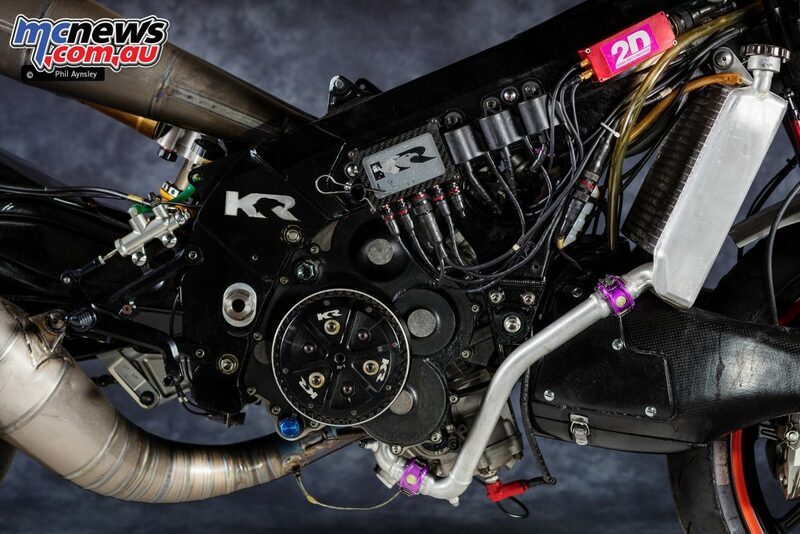 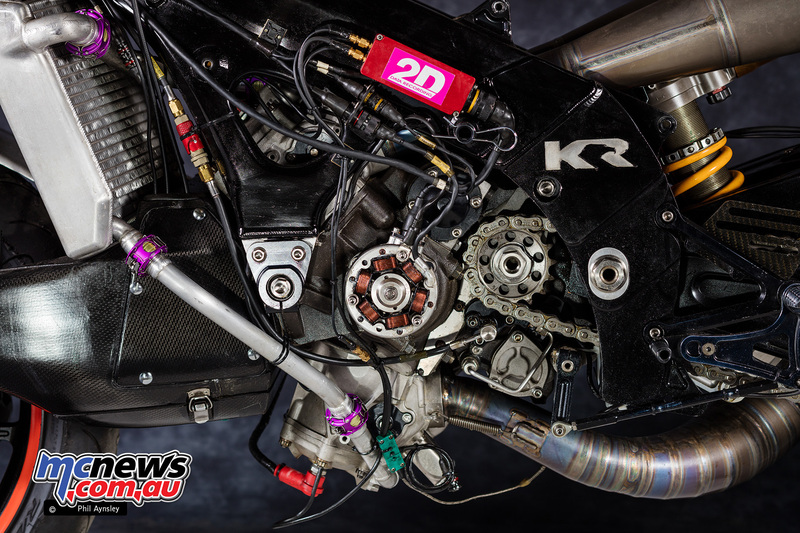 This saw Jeremy McWilliams and Nobuatsu Aoki continue on the two-stroke KR3, as pictured here, for the first four races of 2003, before they then debuted the four-stroke KR5 at Mugello, where both riders were forced to retire with technical problems.